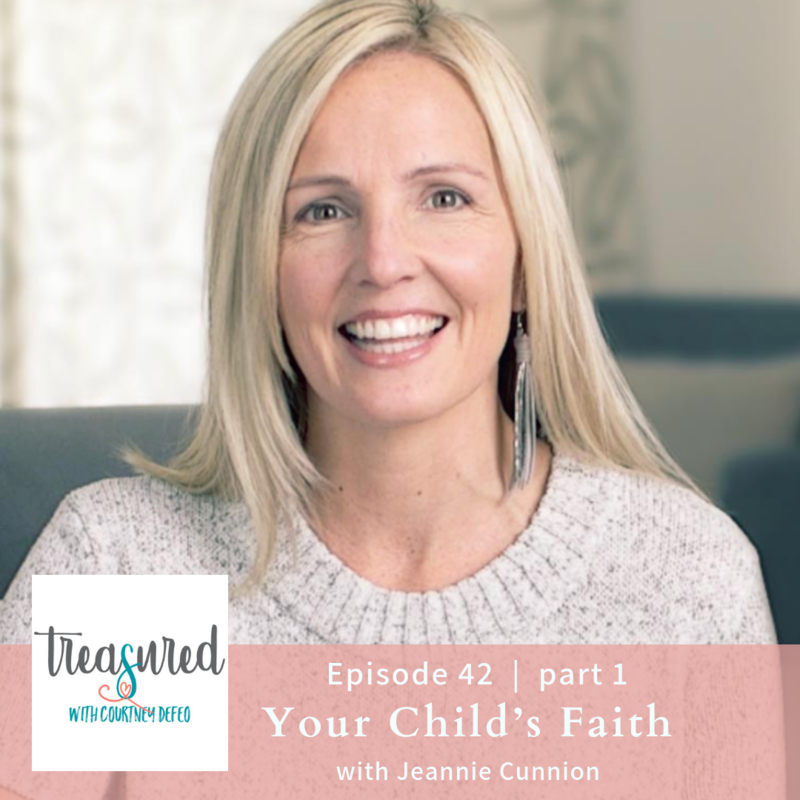 Jeannie Cunnion is the author of Mom Set Free and Parenting the Wholehearted Child. She is also a sought after speaker at women’s conferences and parenting events around the country, and her writing has been featured on outlets such as The Today Show, Fox and Friends, The 700 Club, and Focus on the Family. Jeannie’s passion is encouraging women to live in the very real freedom for which Christ has set us free. Through storytelling, authenticity, and a contagious love for the Good News, Jeannie inspires others to live from a new place of freedom. Jeannie and her husband, Mike, have four boys who range in age from toddler to teenager. Thank you Jeannie! I know this conversation is going to bless so many moms in their journey with their daughters and faith. Join us for Part 2 next week as we explore even more practical ways to help in this process. Check out Instagram this week ! We will be doing a big giveaway with of her resources over at Treasured Girlz!